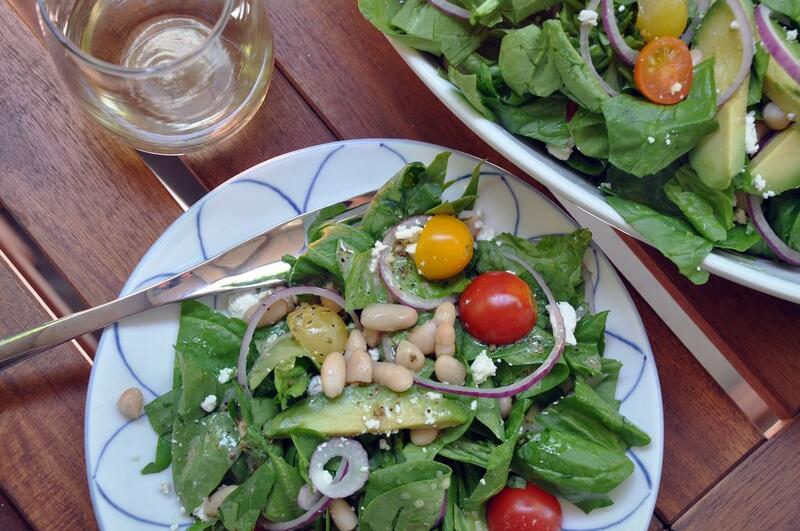 Combine all the salad ingredients in a large bowl and toss well. 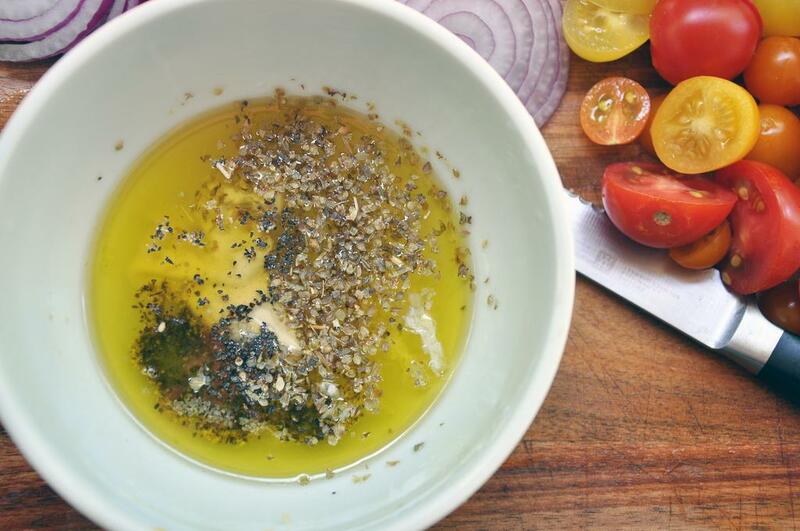 Whisk together the dressing ingredients until well combined. Spoon over top and toss salad or serve on the side.